It’s important to stay healthy, no one would dispute that. But a problem arises when there are many conflicting recommendations vying for attention and trying to tell us what health is and what is needed to maintain good health. Some say daily exercise, others say less often is sufficient. Some say juicing will lead to great health, while others say it’s a waste of time. One year, eggs are high in cholesterol and we shouldn’t eat them more than a couple of times a week, the next year, eggs are super healthy and we should eat them several times a week, if not daily. Is coffee good for you, or does it cause jitters and insomnia? Is chocolate good or bad? All of these suggestions and so many more are confusing at best. Holistic dentists recognize the information overload concerning health, and that’s why they practice, so help people get and stay as healthy as they can be. It seems strange to think of dentists as having a handle on, much less focusing on, physical health, until you understand the philosophy behind holistic dentistry. Many medical professionals see the body as a set of parts, and they each tend to focus on the part of the body in which they specialize, almost to the point of ignoring the rest, and the same is true for many dentists, who see the teeth as separate from the rest of the body. 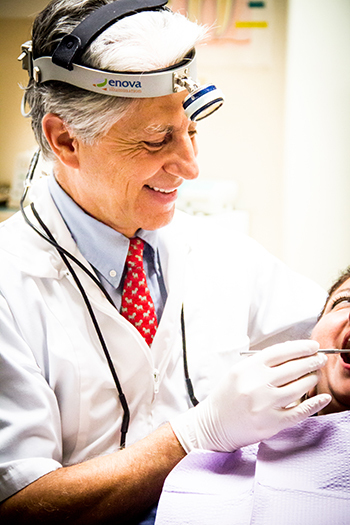 In contrasts, holistic dentists see the mouth as just one part of the body, inseparable. Oral health both influences and is influenced by the health of the rest of the body’s systems. A dentist who follows holistic thinking can tell by your teeth, tongue, gums, and throat if your diet has changed. He can also tell if you are at risk of conditions such as heart disease, stroke, or diabetes, often before you have symptoms that would lead your doctor to detect these things. If you are interested in protecting your overall health as well as your oral health, then perhaps it is time to make an appointment with a holistic dentist. You will be asked about your diet, your exercise routines, and many other aspects of your overall health and lifestyle. Be honest, the holistic dentist will be able to help you develop a deeper understanding of how well you are really doing.